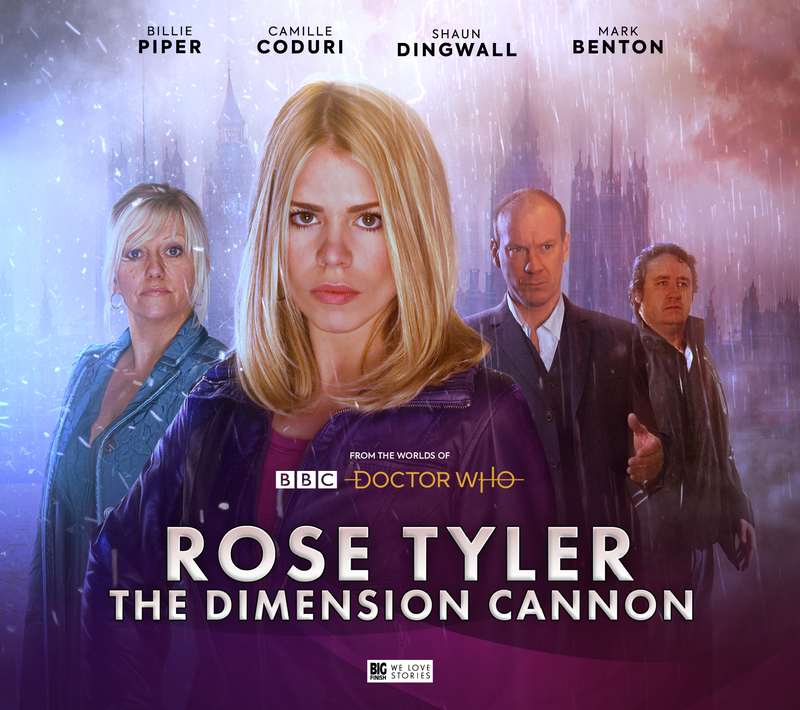 Announced yesterday by Big Finish, Rose Tyler: The Dimension Cannon will be a series of four audio dramas set between the events of “Doomsday” in Doctor Who’s second season – in which Rose was cut off from the Doctor seemingly for good on a parallel world – and “The Stolen Earth/Journey’s End” in season four – which saw an older and wiser Rose return after a series of dimension-hopping adventures to help the Doctor and his allies save the entire multiverse. It’s not the first time Piper has reprised her role as Rose on audio – she co-starred alongside David Tennant for a series of audio adventures last year. But it’s a wildly intriguing idea for a spinoff, nonetheless. Not only is it a fascinating time period to explore in Doctor Who’s recent history, but Big Finish is teasing a much more down-to-Earth tone for The Dimension Cannon, hinting that Rose won’t be facing monstrous villains and alien threats, but instead human stories in the face of the end of the world.